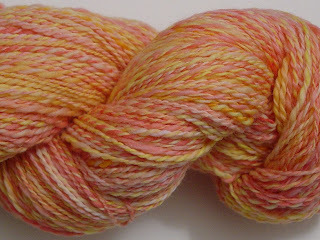 Here is a couple of pictures of my final skein. I really like the way it came out. Sometimes, even when I ply, as long as the yarn is on the wheel I cant tell how it will really look. I really like this though. 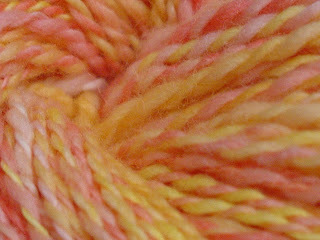 Very soft colors and the yarn is equally soft.